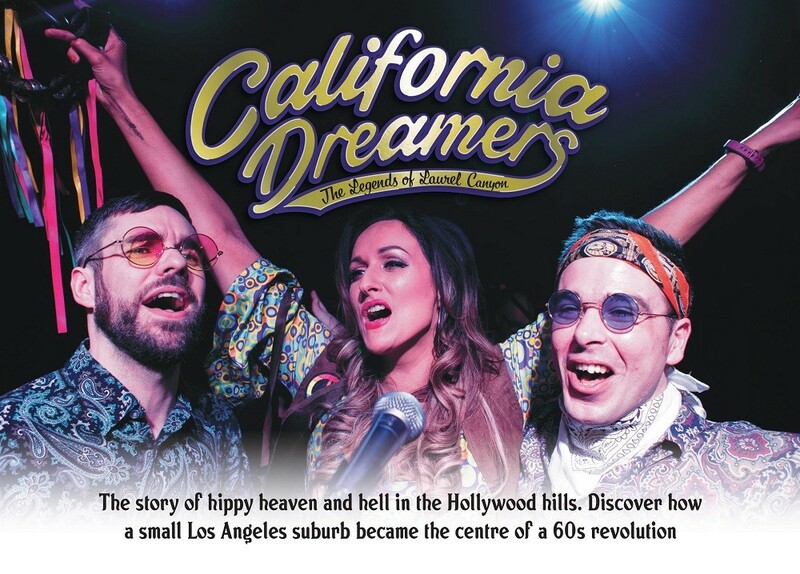 Following sell out shows last year, California Dreamers return with their updated Legends of Laurel Canyon Show. With a superb live band they tell the story of a small Los Angeles suburb and how from 1965 to 1975 it became home to some of the most iconic artists of the 20th century and the centre of a 60’s revolution. Using archive film footage they chronicle the events that inspired the songs of artists such as The Byrds, The Mamas and Papas, Joni Mitchell, The Eagles, James Taylor , Crosby Stills and Nash ,The Monkees and many more. Dig out your flares and slip on your shades and join us for an unforgettable evening of West Coast nostalgia.